William Jennings Bryan argued for the prosecution, Clarence Darrow for Scopes and the defense. The trial publicized the Fundamentalist–Modernist Controversy. This pitted Modernists — who believed evolution and religion were reconcilable — against Fundamentalists, who believed the word of God (as revealed in the bible) was the encapsulation of all human knowledge. Scopes was found guilty and fined $100, but the verdict was overturned on a technicality. Despite all the publicity and hoopla, the issue was never truly settled and remains a political, religious and emotional hot potato today. Which doesn’t say much about our ability to advance our society. Inherit the Wind (1960), was directed by Stanley Kramer. Much of the script was taken from the actual transcripts of the 1925 trial. 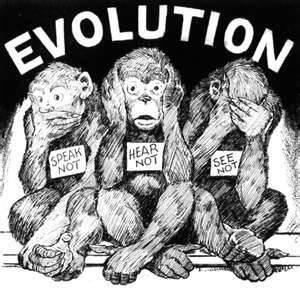 With a few minor changes of name, fundamentalism has morphed into creationism. We are stuck in the same conflict today. Isn’t it amazing…and sad…that 90 years after “The Monkey Trials,” fanaticism and ignorance are still alive and thriving in this country? I wrote a post – http://mindfuldigressions.com/2012/04/18/monkey-business-in-tennessee/ – two years ago, right after Tennessee, the very same state that was the center of the Scopes controversy, became the second state, joining Louisiana, to allow teachers to teach creationism as a viable alternative to evolution in science classes. 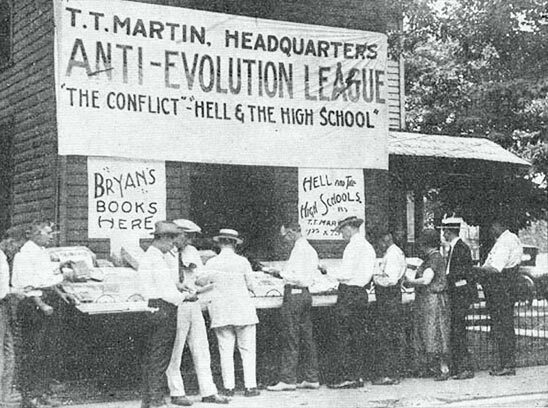 The Tennessee law requires that teachers permit discussions of “alternative theories” to evolution and climate change in their classrooms. Oh yeah, we’ve come a long way, baby! I think it has actually gotten worse during the past decade. Scare. And sad. Europeans are laughing at us for good reason. 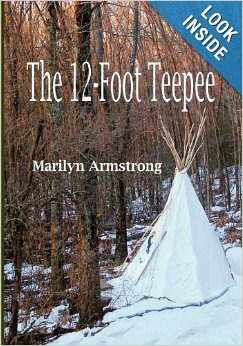 Oh, I forgot to say, Marilyn, excellent post. Yes they are. I have some European friends and they just don’t understand the politics or, most especially, the religious fervor that seems to be infecting our country. Why should THEY understand our politics. I don’t understand and maybe, I don’t really want to. A great movie and a great actor. I guess the argument is still on in some places. The argument is alive and well all over this country. How embarrassing! You almost have to wonder what century we’re in. Offhand, I’d guess 19th or earlier! Time travel for the wrong reasons. Should be required viewing in schools and elsewhere. Yes, it should be. But it will never happen where it ought to happen … in the good old bible belt. It’s the contradiction that’s so mind-boggling: that ‘fanaticism and ignorance’ can be so rampant in the most developed and influential country in the world. It’s eery how far we have NOT come in nearly 100 years. Will we ever loose the grip of the fundamentalists? I wonder. I doubt it. My only issue with the movie is that they put “Scopes” in jail. As you said, the trial was a publicity stunt that Scopes was in on. He was actually never arrested and definitely did not get locked up. I was lucky enough to discuss the trial with some students in the courtroom where it took place. There is nothing quite like talking about history where it really happened. Agreed. But they didn’t present it as history, probably so they could make changes for dramatic effect. Still a great movie and certainly one of Tracy’s finest — and certainly presenting resounding rhetoric that still resonates. Interesting, I didn’t know about this tidbit of history. When you get better, Marilyn, you should write a book about history. I think you’d be great! Thank you. I love history, but I’m not a historian. The only history I can talk about REALLY is what I’ve personally lived through … and of course the older I get, the more history I’ve experienced. Sometimes it’s more than a bit eerie to watch a documentary and realize I was part of it. For me Inherit the Wind is one of the great all time movies, with a stellar cast and brilliant performances. It should be required viewing. I realize there are other versions, but Spencer Tracy delivers a top notch performance. Spencer Tracy was a great actor, but I think Inherit the Wind may be the best of the best of his performances. He should have won the Oscar for it, but I guess it was Burt Lancaster’s year. Garry and I agree with you completely. It should be required viewing for high school students. I think EVERYONE should see it. Garry introduced me to the movie. It has always been one of his favorites. It has some of the most brilliant monologues of all time … and most of them come straight out of the Scopes Trial transcript. I wish I could have been a fly on the wall to see Clarence Darrow in action! It was also a great moment for WGN radio Chicago as they did the first remote broadcast live from the courthouse as the verdict was given. This too is in the movie. You can not live here and not know that. Yes, that’s right. It was the beginning of live media coverage. A great movie … a Classic. Watched it several times. Will again. It is one of the great films. That it is still relevant is kind of scary! I don’t know how I missed this blog of yours the first time around, but it is so timely and so essential. Thank you for bringing this back to the light. As for Europeans laughing at us, I hope it is contagious. The day we all finally get the joke will be the day we can really move forward. Yes indeed. I think a national sense of humor in general would improve life in these United States. We used to be able to laugh at ourselves, but we seem to have lost it somewhere along the way. I hope we get it back! Similar sentiments in “The Americanization of Emily.” Great scripts that are more than mere entertainment! Almost a year ago, we went to visit my 2nd cousin (only kind I have), in Tennessee. The lake home she inherited from her parents was where we stayed. She took us down to Douglas County to see the courthouse and museum which was very interesting… Not all that far , and was quite an experience… Made history come alive….